When designing a contemporary bathroom, there are many different pieces that can be incorporated in order to create this elegant, yet simplistic look. Along with choosing the right wall and floor tiles, take some extra time to focus on accent pieces such as different bathroom fixtures. These accessories play a large part in creating your space, as they integrate the different elements of your bathroom. One of most important accessories is your bathroom vanity. With the combination of sinks, drawers, and mirrors, choosing the right vanity will add a delicate touch the overall ambiance of your contemporary bathroom design. One of our most popular vanities is the Dess. This wall mounted model features a soft close, full extending drawers well as a lightweight appearance. The horizontal handle is featured throughout the entire design, contributing to the cohesiveness of a contemporary bathroom. This product also has a matching mirror for a complementary look. 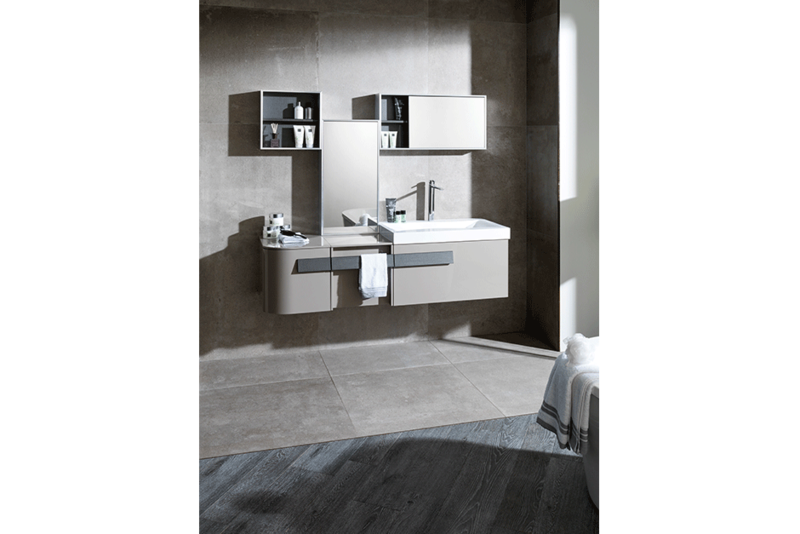 Available in a variety of finishes, the Dess vanity is suitable for any bathroom style. For a larger product, the Flow vanity features a unique design made from our KRION® solid surface material. Its compressed design has a great amount of storage space as well as a high resistance to damage. 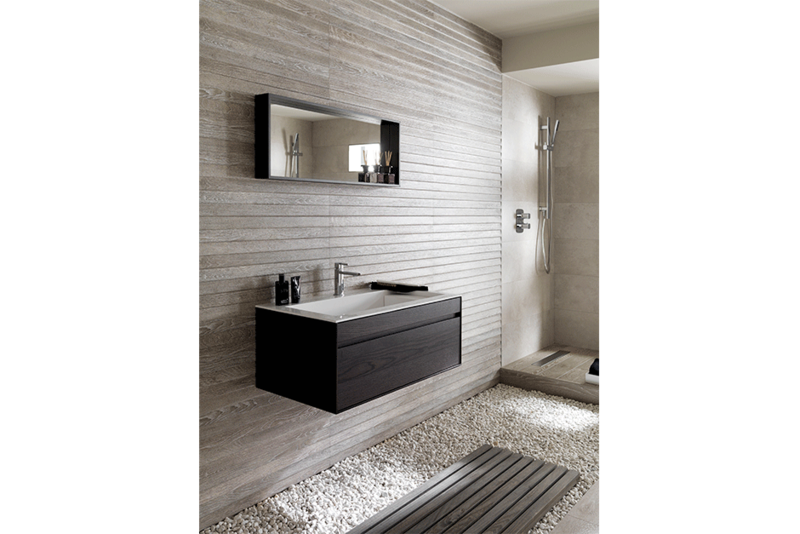 The Flow vanity can also be customized to fit into your space with additional shelves and storage modules. Available in two different gloss finishes, Blanco and Tortola, the Flow vanity is exceptional product that is sure to capture the eye. 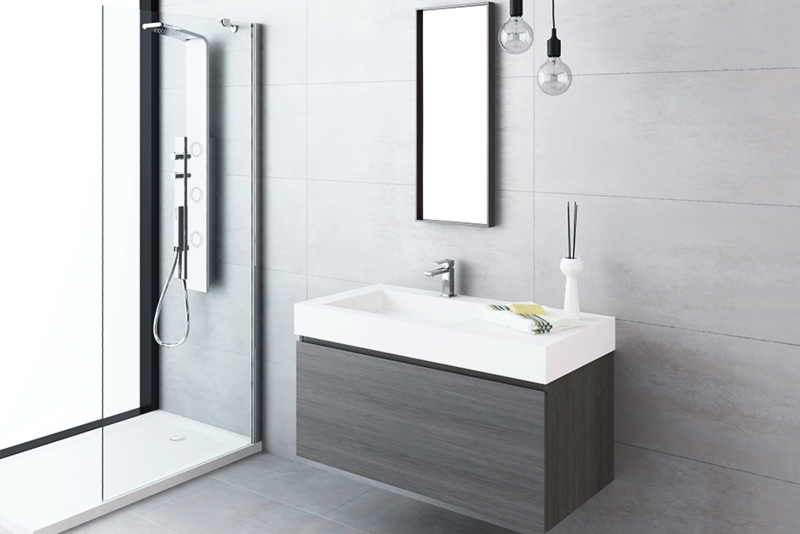 For a smaller bathroom space, consider the Revel series as it comes in two different sizes, 31” and 43”. This vanity features three different surfaces including a wood imitation laminate, a textile laminate finish, and a white matte sink completely made of KRION®. With the exterior available in three different wood imitation finishes, the Revel vanity adds a pleasant, yet sleek touch. To view more vanities and other bathroom fixtures, visit our Products page!